Almost anyone who has ever worried about their weight has spent a lot of time contemplating the calorie, but what is a calorie? Is it the source of all evil that causes weight gain or is it something far more innocuous? What is a calorie? Simply put, a calorie is a unit of energy. While calorie has entered the human psyche as a measurement of food, calories as a measurement of energy can apply to far more things than just food. The general description for a calorie is the amount of energy it takes to raise the temperature of one gram of water one degree Celsius. That hardly sounds like it can make you fat, does it? 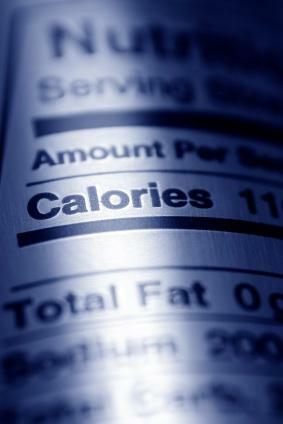 What is a calorie as it applies to food? It is the amount of energy that the food you eat supplies your body with. Our bodies need energy in order to function. Food supplies that energy. From that food, energy is supplied by "burning" the food metabolically. When food calories are metabolized, they are broken down into molecules that are transported to various parts of our body and used as energy. Food calories, then, are merely a measurement of the potential energy supplied to our body by the foods that we eat. Can Calories Make You Fat? These are just a few of the many factors that make up your individual energy needs. When your body takes in food with energy -- in the form of calories - that is sufficient to meet all of these bodily functions without taking in excessive energy as food, then your weight is likely to remain in stasis. In other words, you will neither gain nor lose weight. If, on the other hand, you take in significantly more energy in the form of food calories than your body needs to fuel its functions and activities, then the likely result is that you will gain weight. Conversely, if you take in less food energy than your body needs to maintain function and activity level, your body will seek an alternate source of fuel for energy. Typically, stored body fat can be used as the source of energy, and the result is weight loss. Caloric (energy) needs vary based upon the individual, as described above. There are some general guidelines that will help you to determine just how many calories your body needs to function. Using a basal metabolic rate (BMR) calculator can help you to determine a general idea of how much energy your body needs to function. Once your BMR is calculated, you can apply the Harris Benedict Equation to factor in your needs for your activity level. Is There Such a Thing as Too Few Calories? Occasionally, in the absence of a very small source of food energy over a sustained period of time, your body will also take energy from your lean body tissue such as your muscles and your bones. Typically, eating a caloric level below the basal metabolic rate you calculated above (before applying the Harris-Benedict equation) over a sustained period of time can lead to this type of a response. Because lean body mass (everything that isn't fat) is an important factor in how much energy your body requires, losing lean body mass in this way can have a detrimental effect on your energetic - and therefore caloric - requirements. There is nothing inherently bad about a calorie. As previously stated, it is merely a measurement of energy. In the case of food, it is a measurement of the energy that the food you eat supplies your body. When calories become a problem is when we supply our body with more fuel than it can reasonably burn off.